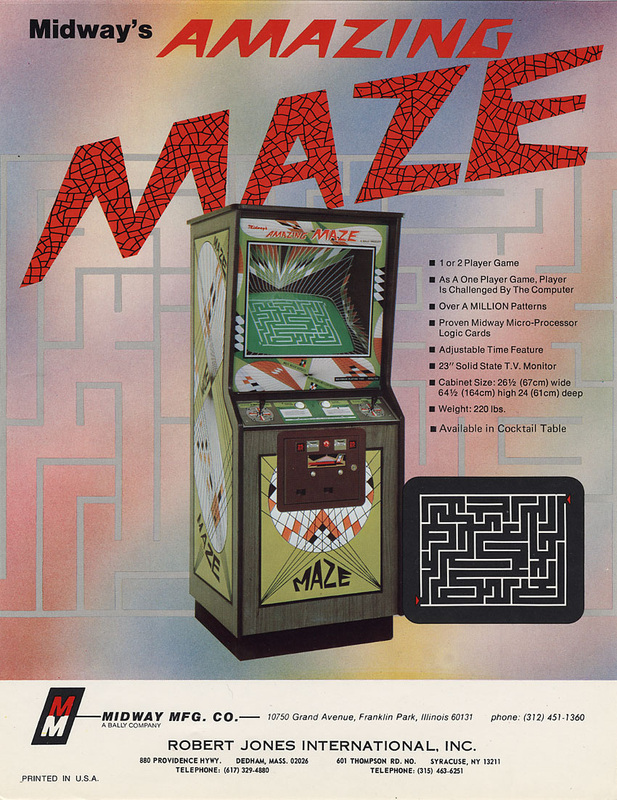 The Amazing Maze Game is an arcade game developed by Midway, released in 1976. The object of the game is for the player to find their way out of a challenging maze before their opponent. Users can play as single player and compete against the computer or play against a friend in two player mode.